This used to be a common practice, but we discontinued it after learning that it led to fewer adoptions. Many visitors would put animals on hold and not return, while other visitors would see animals they wanted to adopt – animals “on hold”, unavailable to them and leave discouraged. Can I place an order for a particular breed and get notified when it comes in to your facility? Unfortunately, no. We could not possibly meet the public’s expectation if we began a “personal shopper” service. Also, we routinely work with adopters who begin their process saying they know exactly what they want, but fall in love with an entirely different pet when visiting our center. Can I try an animal, then return him later if it doesn't work out? 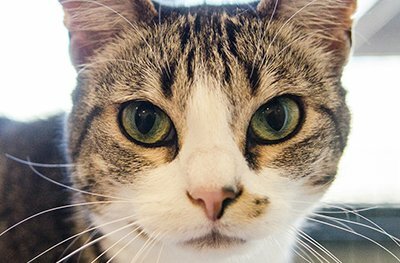 While we accept returned animals, we strongly discourage “try outs.” We want adopters to leave our center committed to making an adoption work and we give free resources to help them, such as our Animal Behavior Helpline. No, we are an open-admission shelter, meaning we accept all animals brought to us. This includes many perfectly healthy dogs and cats (we adopt 100% of them! ), animals who arrive with medical or behavioral issues we make well (approx. 200 every month! ), and, sadly, a small percentage of animals who arrive with significant medical or behavioral issues beyond our ability to treat. How long do animals stay up for adoption? Our animals have no time limit. They remain available for adoption as long as it takes us to find a home. Do animals stay in rooms all day just waiting for adopters to choose them? No. Visitors don’t see the incredible amount of time staff and volunteers devote to keeping our animals happy and healthy. This includes exercise outside of rooms and enrichment activities inside of rooms, grooming sessions, and basic tender loving care. Any visitor who spends even one day in our center would be amazed at the activity and interactions. 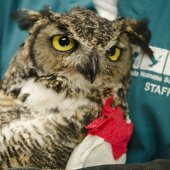 How do so many animals come into your care? The great majority of animals come to one of two ways. Some arrive as strays and, sadly, are not claimed by owners. Others are surrendered by owners no longer able or willing to care for them. Owners who surrender animals to us do so for many reasons. What’s the best way to learn about “new” animals that have just been made available for adoption? Our website is one resource; however, we don’t have the ability, given limited resources, to make up-to-the-minute updates. We strongly encourage potential adopters to visit our center in person. Do you ever turn adopters away? We reserve the right to deny adoptions, though this is rare. If we feel a match is truly not appropriate, we gently steer adopters towards animals we feel would be better matches. Why is it so important for adopters to arrive at least an hour before closing? We never want to rush an adoption or make an adopter feel like they need to rush. While many adoptions won’t take a full hour, others do; we just don’t know until we meet an adopter and get started. Should I bring all members of the family for our adoption? Since the pet is going to be part of your family, we encourage all members to be present for the adoption, though this is not mandatory in most cases. Do you cover pets’ medical issues, post-adoption? Yes, we offer a Post-Adoption Medical Plan and will treat many preexisting medical conditions for 14 days, post-adoption. Adopters simply call our Post Adoption Medical Line (available in the adoption packet) to make an appointment. Why are some animals free or discounted? We do this to highlight and give extra incentives for overlooked animals so they can find their forever homes. We will often provide incentives for older animals, bonded pairs , the most common breeds or animals with particular characteristics that we believe are keeping them from being noticed. Are the kittens in your 2nd floor Nursery available for adoption? No, though we encourage you to visit them and watch our volunteers in action. These kittens are just weeks old, they are not eating on their own and have undeveloped immune systems. Because their health is so fragile, they need to get past this critical period before we place them into new homes. Why do you have so many Pit Bulls and Chihuahuas? As an open door shelter that accepts all animals brought to us, we have no control over intake or selection. Pit Bulls and Chihuahuas (and mixes with these as the predominant breeds) are the most common dogs in our area. That said, we have a steady flow of other breeds, though they are adopted much more quickly. Why do some of your dogs require training? Based on our experience with the dogs, we’ve determined some will benefit greatly from training and this experience between the dog and new owner in a group setting will build a fantastic foundation. Adopters need not enroll in a PHS/SPCA obedience class, though we think they our classes are excellent. 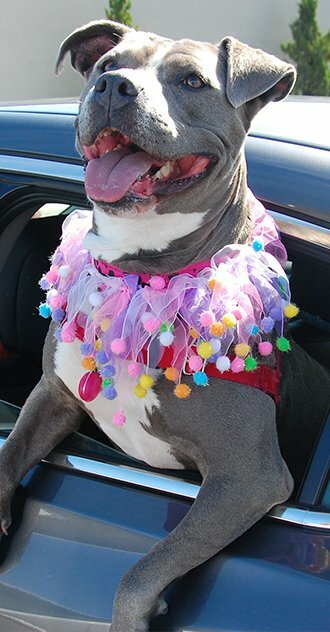 Why do some dogs require adopters with previous breed experience? This is a preference or strong preference in some cases and very seldom a black and white rule. Some breeds have characteristics which can present challenges; adopters with previous experience are often better prepared for them. That said, we are happy to share breed-specific info and will place dogs with adopters willing to learn. 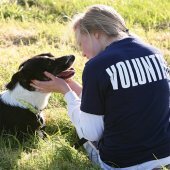 Do you have animals other than dogs and cats up for adoption? Yes, we are somewhat unique for shelters in that we have dogs, cats, rabbits, guinea pigs, birds, domestic rats, hamsters, reptiles, some farm animals and more available for adoption. Do you have adoptable animals besides those in your Center for Compassion? Yes, we regularly have a number of animals in foster care; mostly dogs, but occasional cats. You can learn about them on our website or the computer kiosk on the 1st floor of our Center.